I was having kind of a hard day today. We went to the Louvre, which is HUGE. And it has been over a week since my last Enbrel shot. I was never planning on taking the shot with me to Europe; it just didn’t seem worth it to have to go through airport security and travel to several different countries with a pre-filled syringe for a single shot. Today, I was feeling the effects of this and having a hard time with all the walking. Then, we stumbled upon some bike/rickshaw guys. 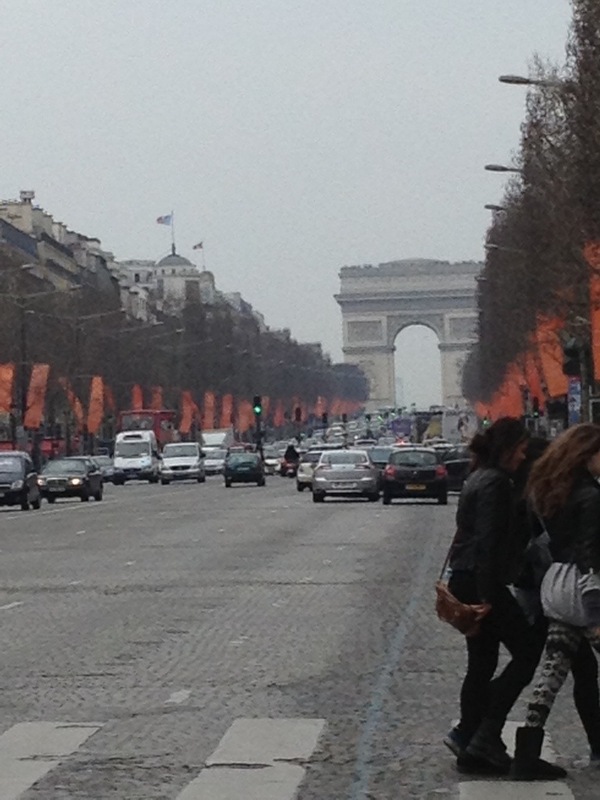 We hired one of them to take us down the Champs Elysees to the Arc de Triomphe and over to the Eiffel Tower. 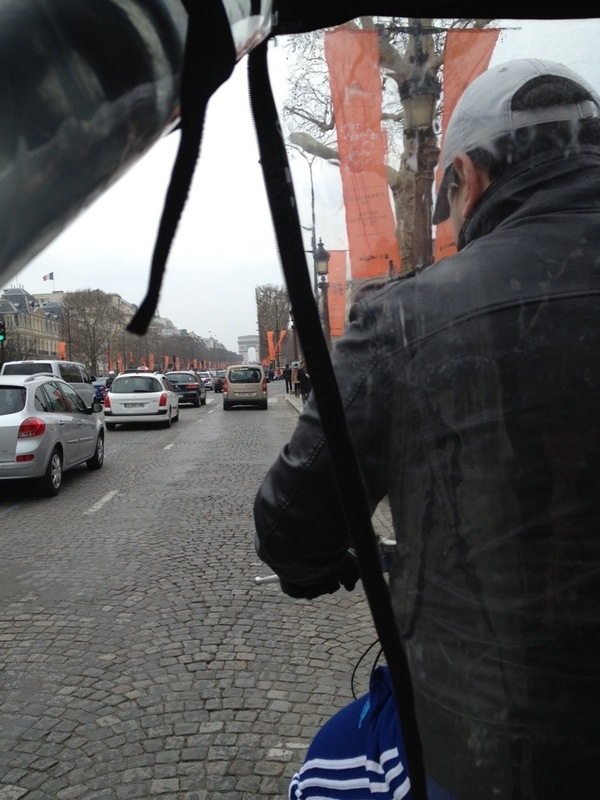 In the cozy two seater on the back of a bike, the hubs and I saw the sites of Paris; it would have taken us way too much time and pain to get to otherwise. Instead, we admired the shops, cowered from the crazy traffic and kissed under the Eiffel Tower without too much personal exertion. (As for the guy pedaling the bike, I cannot say. He was a trooper). 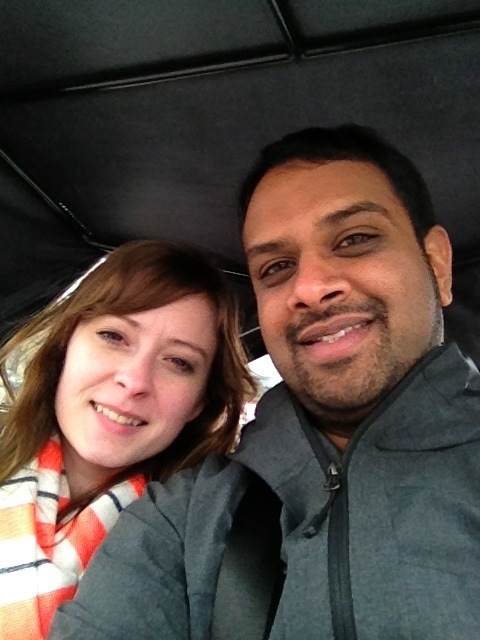 It was romantic and silly and scary and restful all at the same time, and maybe, really, one of the best ways to see Paris! Here is the best we could do at phone pictures on a moving (slowly) vehicle.